The adversaries to the plan of the convention, instead of considering in the first place what degree of power was absolutely necessary for the purposes of the federal government, have exhausted themselves in a secondary inquiry into the possible consequences of the proposed degree of power to the governments of the particular States. But if the Union, as has been shown, be essential to the security of the people of America against foreign danger; if it be essential to their security against contentions and wars among the different States; if it be essential to guard them against those violent and oppressive factions which embitter the blessings of liberty, and against those military establishments which must gradually poison its very fountain; if, in a word, the Union be essential to the happiness of the people of America, is it not preposterous, to urge as an objection to a government, without which the objects of the Union cannot be attained, that such a government may derogate from the importance of the governments of the individual States? Was, then, the American Revolution effected, was the American Confederacy formed, was the precious blood of thousands spilt, and the hard-earned substance of millions lavished, not that the people of America should enjoy peace, liberty, and safety, but that the government of the individual States, that particular municipal establishments, might enjoy a certain extent of power, and be arrayed with certain dignities and attributes of sovereignty? We have heard of the impious doctrine in the Old World, that the people were made for kings, not kings for the people. Is the same doctrine to be revived in the New, in another shape that the solid happiness of the people is to be sacrificed to the views of political institutions of a different form? It is too early for politicians to presume on our forgetting that the public good, the real welfare of the great body of the people, is the supreme object to be pursued; and that no form of government whatever has any other value than as it may be fitted for the attainment of this object. Were the plan of the convention adverse to the public happiness, my voice would be, Reject the plan. Were the Union itself inconsistent with the public happiness, it would be, Abolish the Union. In like manner, as far as the sovereignty of the States cannot be reconciled to the happiness of the people, the voice of every good citizen must be, Let the former be sacrificed to the latter. How far the sacrifice is necessary, has been shown. How far the unsacrificed residue will be endangered, is the question before us.Several important considerations have been touched in the course of these papers, which discountenance the supposition that the operation of the federal government will by degrees prove fatal to the State governments. The more I revolve the subject, the more fully I am persuaded that the balance is much more likely to be disturbed by the preponderancy of the last than of the first scale. The State governments will have the advantage of the Federal government, whether we compare them in respect to the immediate dependence of the one on the other; to the weight of personal influence which each side will possess; to the powers respectively vested in them; to the predilection and probable support of the people; to the disposition and faculty of resisting and frustrating the measures of each other. 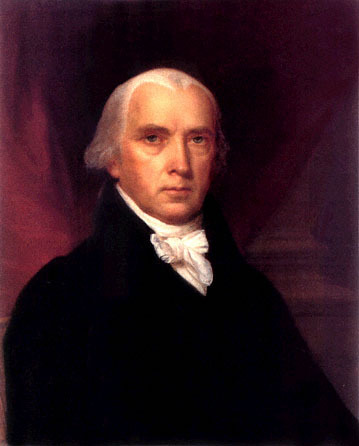 Today’s post is FEDERALIST PAPER #45 – Alleged Danger From the Powers of the Union to the State Governments Considered – written by James Madison and published Saturday, January 26, 1788. 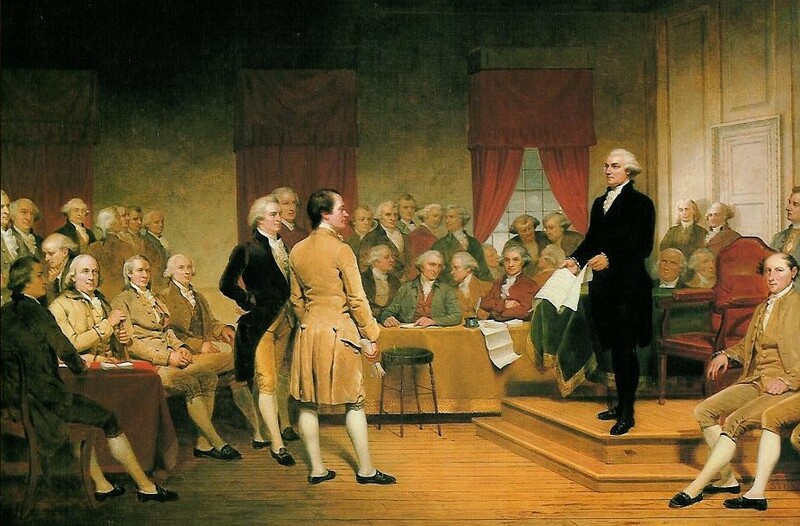 In this essay Madison discusses whether or not the powers given to the federal government “will be dangerous to the portion of authority left in the several States”. Madison argues “if the Union, as has been shown, be essential to the security of the people of America against foreign danger; if it be essential to their security against contentions and wars among the different States; if it be essential to guard them against those violent and oppressive factions which embitter the blessings of liberty, and against those military establishments which must gradually poison its very fountain; if, in a word, the Union be essential to the happiness of the people of America, is it not preposterous, to urge as an objection to a government, without which the objects of the Union cannot be attained, that such a government may derogate from the importance of the governments of the individual States? He then says “the State governments will have the advantage of the Federal government, whether we compare them in respect to the immediate dependence of the one on the other; to the weight of personal influence which each side will possess; to the powers respectively vested in them; to the predilection and probable support of the people; to the disposition and faculty of resisting and frustrating the measures of each other. Further “the State governments may be regarded as constituent and essential parts of the federal government; whilst the latter is nowise essential to the operation or organization of the former”. And “without the intervention of the State legislatures, the President of the United States cannot be elected at all. They must in all cases have a great share in his appointment, and will, perhaps, in most cases, of themselves determine it. The Senate will be elected absolutely and exclusively by the State legislatures. Even the House of Representatives, though drawn immediately from the people, will be chosen very much under the influence of that class of men, whose influence over the people obtains for themselves an election into the State legislatures”. Plus “each of the principal branches of the federal government will owe its existence more or less to the favor of the State governments, and must consequently feel a dependence, which is much more likely to beget a disposition too obsequious than too overbearing towards them. On the other side, the component parts of the State governments will in no instance be indebted for their appointment to the direct agency of the federal government, and very little, if at all, to the local influence of its members”. Madison then argues that “the powers delegated by the proposed Constitution to the federal government, are few and defined. Those which are to remain in the State governments are numerous and indefinite. The former will be exercised principally on external objects, as war, peace, negotiation, and foreign commerce; with which last the power of taxation will, for the most part, be connected. The powers reserved to the several States will extend to all the objects which, in the ordinary course of affairs, concern the lives, liberties, and properties of the people, and the internal order, improvement, and prosperity of the State”. Further “the operations of the federal government will be most extensive and important in times of war and danger; those of the State governments, in times of peace and security. As the former periods will probably bear a small proportion to the latter, the State governments will here enjoy another advantage over the federal government. The more adequate, indeed, the federal powers may be rendered to the national defense, the less frequent will be those scenes of danger which might favor their ascendancy over the governments of the particular States”. Madison concludes by saying “if the new Constitution be examined with accuracy and candor, it will be found that the change which it proposes consists much less in the addition of NEW POWERS to the Union, than in the invigoration of its ORIGINAL POWERS”. Patrick Henry Speech, Give Me Liberty Or Give Me Death!